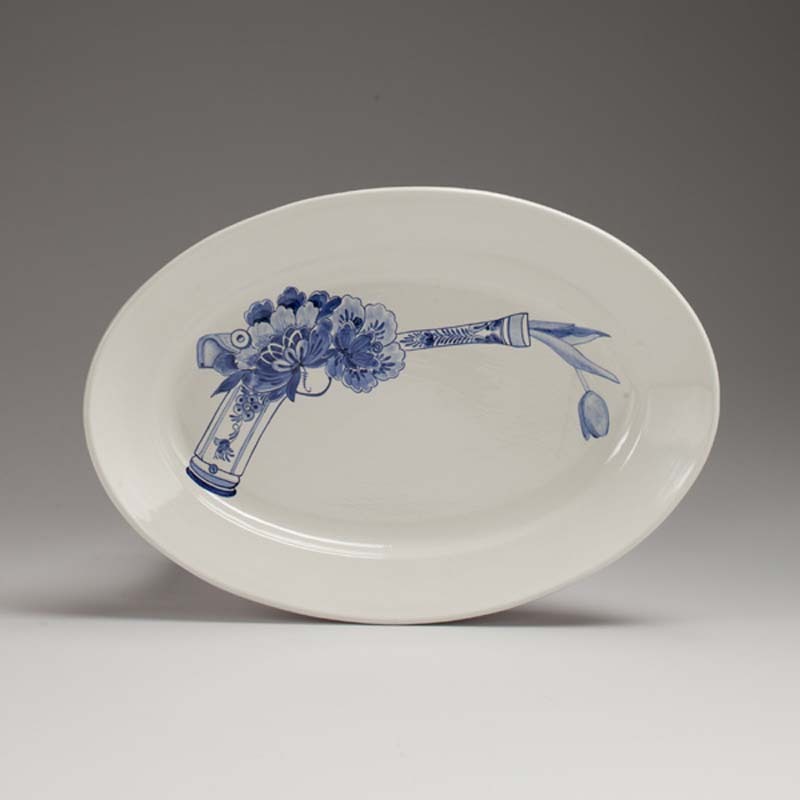 I’m not exactly sure what designer/artist Trevor Jackson had in mind when he made these plates, but on the day after the U.S. Senate disappointingly blocked gun-control legislation, and based on the moniker “Agitdelft”—from Agitation Delft akin to Agitation Propaganda— under which the Seattle-based Jackson creates these ceramic works, I’m going to choose to interpret them as a make-love-not-war/pro-gun-control statement. 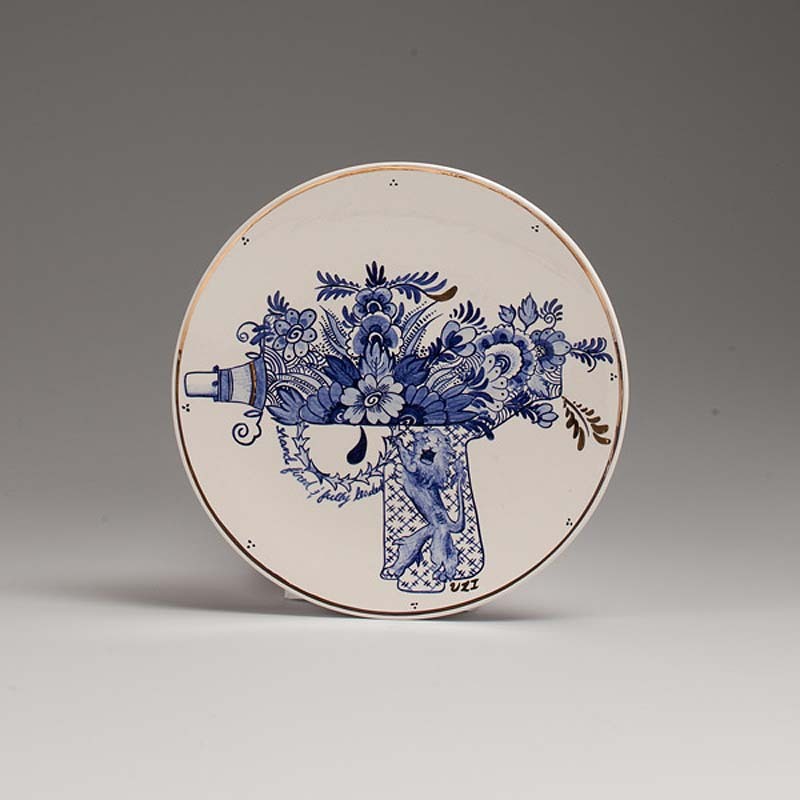 If you’re looking to purchase one of these ceramic pieces, you can do that here. This entry was posted in Art, Graphic Design, Industrial Design, Pop Culture. Bookmark the permalink.